In partnership with the Bonifas Arts Center, ArtPrize-bound artwork from the Upper Peninsula will be on display in late summer 2018. This exhibit provides a chance preview artwork by UP artists whose work will appear at ArtPrize in Grand Rapids in the Fall. 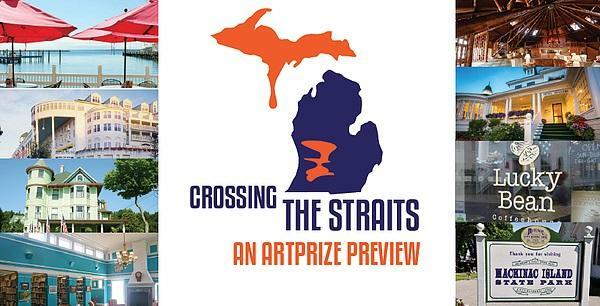 Kurt Hauswirth spoke by phone with Pasqua Warstler, artistic director of the Bonifas Arts Center in Escanaba, MI, and Brian Kakas, associate professor of Art and Design at Northern Michigan University and ArtPrize artist, about "Crossing the Straits," a Mackinac Island ArtPrize 2018 Preview. The preview includes an exhibition and opening reception beginning Sunday August 12 on the island. in “Crossing the Straits” Exhibition Opening Aug. 12. Mackinac Island, Michigan – The “Crossing the Straits” exhibition, featuring acclaimed works from Upper Peninsula artists, will open at Mission Point Resort’s Center for the Arts, with an opening reception on Aug. 12, from 2 to 4 p.m. The exhibition was formed in partnership with Escanaba-based Bonifas Arts Center and the Mackinac Arts Council. “Crossing the Straits” will be displayed through Sept. 7 before going to ArtPrize, an international art competition in Grand Rapids. The opening reception at the Center For the Arts will include beer and wine provided by Imperial Beverage, as well as food prepared by the chefs at Chianti, Mission Point Resort’s own, on-site fine dining restaurant. Mission Point Resort is located on Mackinac Island, Michigan, where there are no motorized vehicles and the island is only accessible by ferry or airplane. The resort is open from the last weekend in April through October 27. To make reservations, and for more information on special packages or events at Mission Point, visit https://www.missionpoint.com/mackinac-island-resort-offers or call (810) 487-0954. Summertime in the Upper Peninsula means art for all. 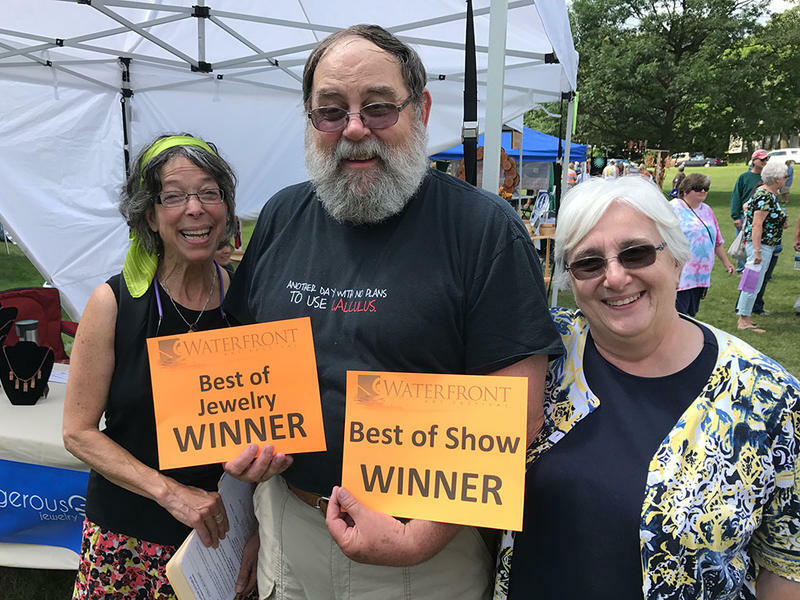 Art opportunities abound in Escanaba and the surrounding areas, and the Bonifas Arts Center helps in coordinating these events. We spoke with the artistic director of the Bonifas, Pasqua Warstler, about the summer art events. ArtPrize 2018 takes place September 19th to October 7th this year. 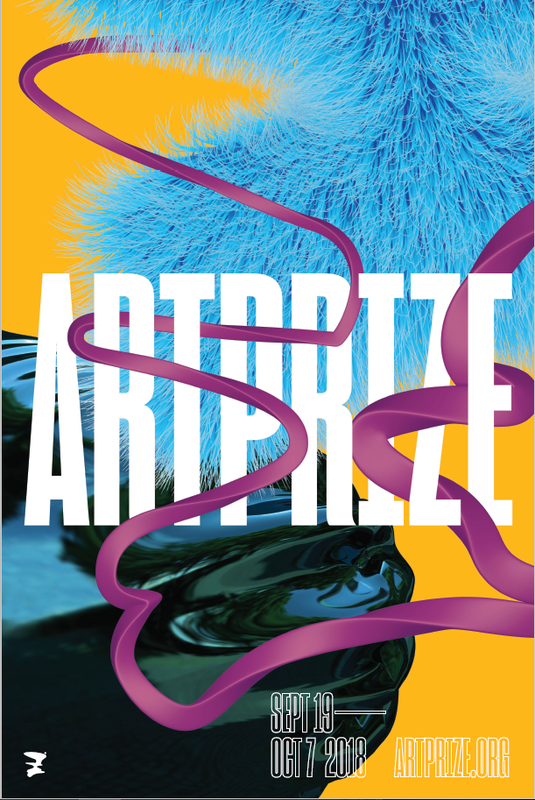 Pasqua Warstler, Director of Gallery & Regional Projects, and Michele Wilber, Bookkeeper and Art Student at the NMU School of Art & Design, want to inform students from NMU and Finlandia University about the opportunities found at ArtPrize. Kurt Hauswirth spoke with the two of them regarding what they need to do to prepare.